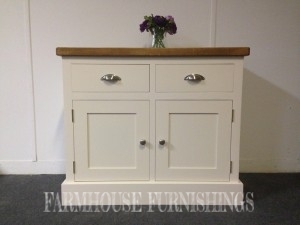 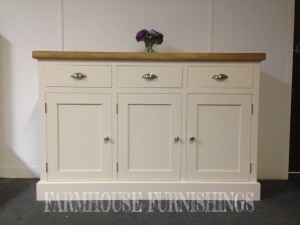 This stunning sideboard has loads of storage but doesnt lack in charm and stlye. 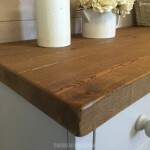 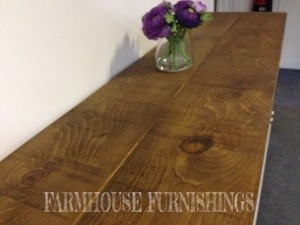 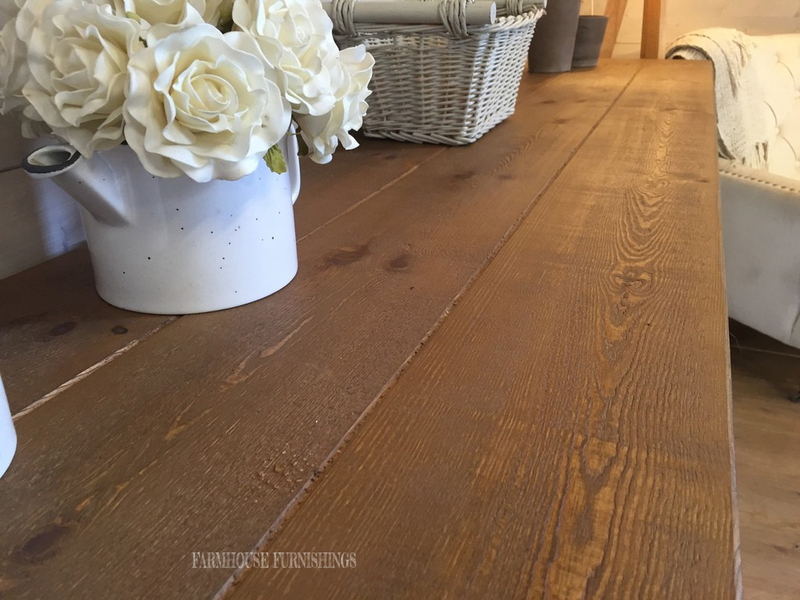 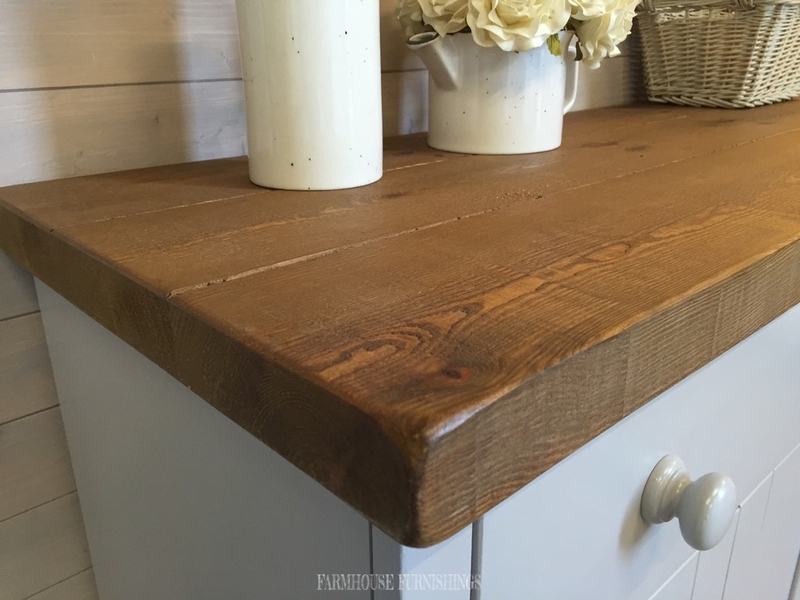 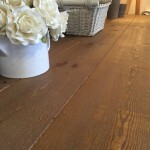 It has a gorgeous plank pine top with a raised grain to give the rustic railway sleeper style. 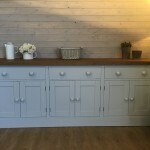 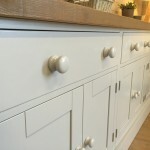 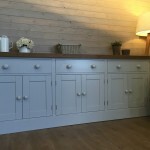 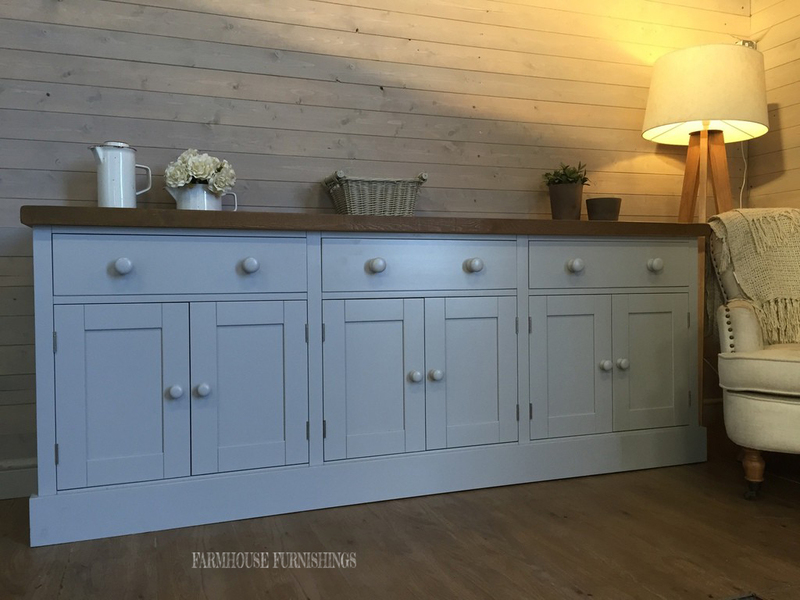 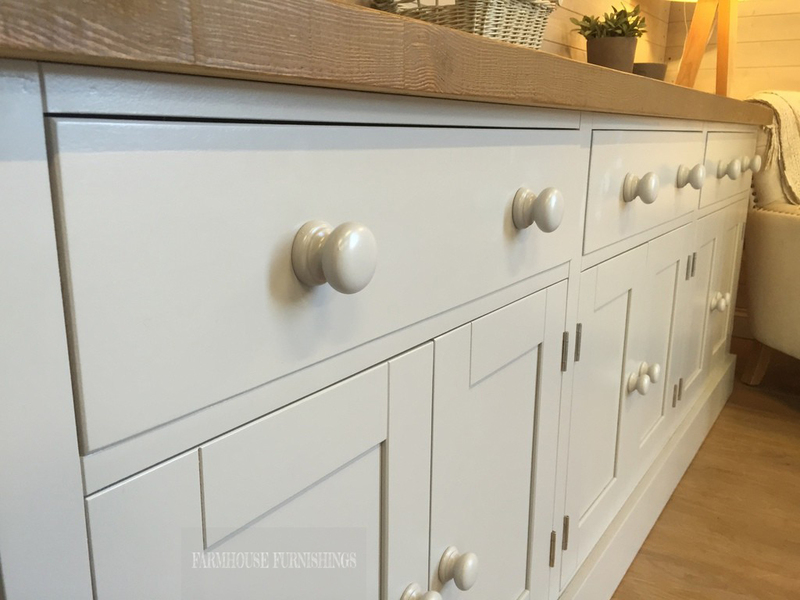 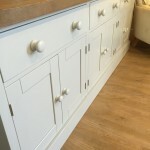 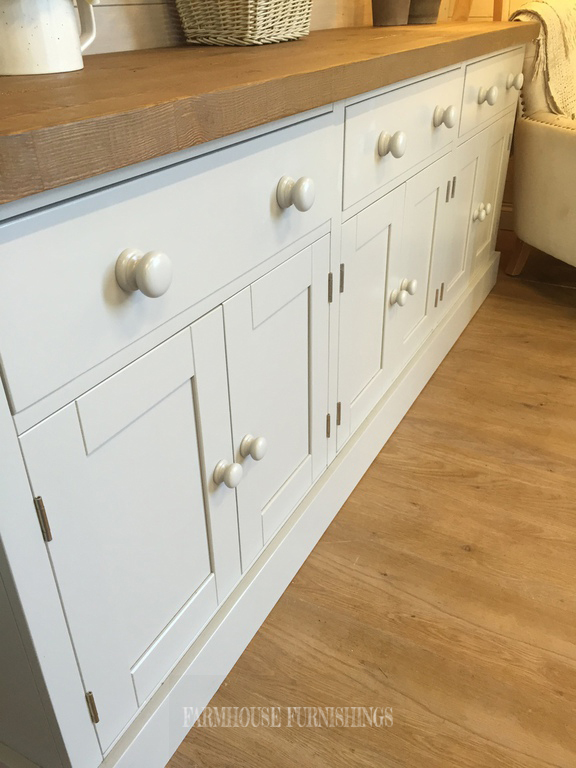 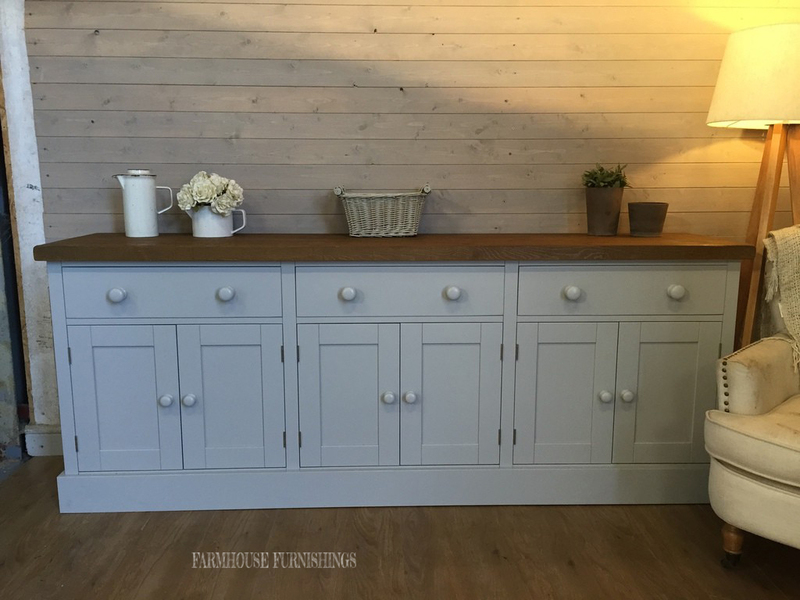 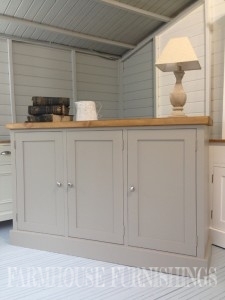 This sideboard has been painted in Purbeck Stone by Farrow and Ball but you can choose any Farrow and Ball colour of your choice.